Fake emails or fake mails are those emails which pretends to come from a specific email address but are sent from some fake email senders It is not hard to send fake email address. 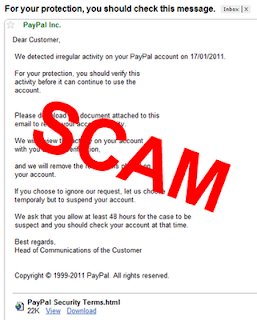 Any one can use those free fake email sender tools available online. These tools ask for the name and email of the sender which you want to show in the email. emkei.cz is the most popular fake mail sending website. So you must know how to identify whether the email is fake or not. See the sender's name and email. 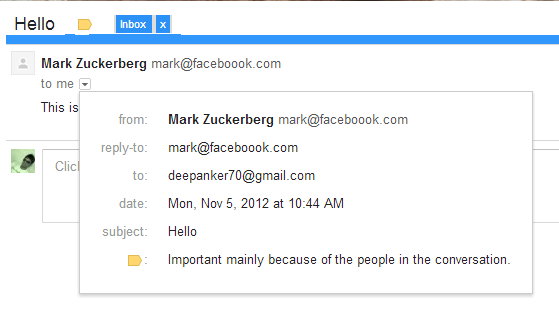 Its Mark Zuckerberg from email address mark@facebook.com. This email is just an example. 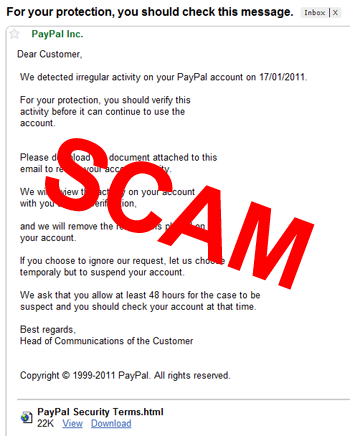 But these can be very harmful when sent by spammers. Suppose it pretends to be sent from your bank and asks for your banking username or password. 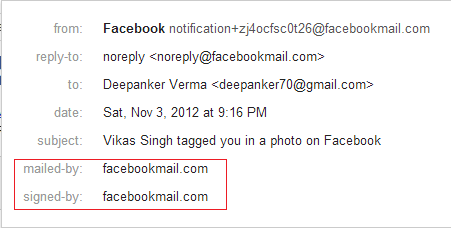 There are so many examples which shows why you must know about fake emails. It is really simple to identify a fake email. Click on the down arrow at the right side of the Me as shown in the snapshot. This method can be applied only for the emails coming from big companies like Google, Facebook, LinkedIN, Twitter and other companies which has their own servers. Email sent from Gmail will be mailed by and signed by Gmail. But there are so many small companies that does not have dedicated server, use Gmail labs or their own hosting server. Email coming from those may not show these two fields in mail. So we need to confirm this by one more way. Now we will see the header of email. To see the header of email, click on down arrow at the right side of the reply icon and click on show original. Now it will open a plain text email content with header information in a new tab. Header information look like this. Search for Received: from in this page. If there are more than one Received: from in the page, the go for the last one and see the domain there. 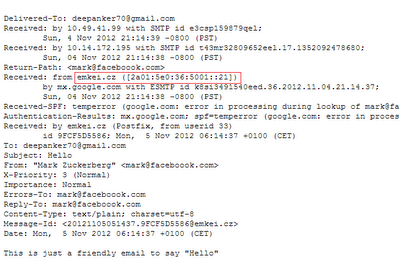 It shows emkei.cz in the fake mail sent by me. Now see the website emkei.cz and you will know that the domain belongs to a fake mail sender website. 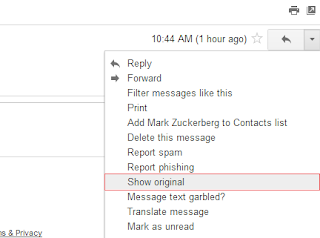 If you see the header of some other emails, you will see that header comes with too many information which are not present in the header of this fake mail. Email address can be traced or not. It depends on the mail server it has been sent. 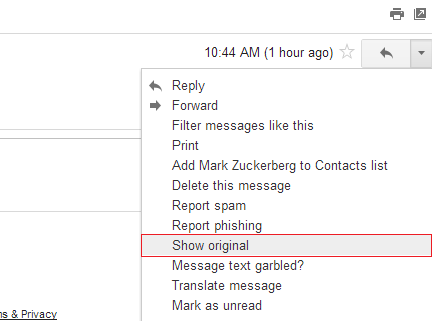 If the email is sent from Gmail using GMail web, you will never get the original IP address of the sender. Some other email servers (It may be a fake mail sender) also do not reveal the IP address of the sender in the email header. But in most of the cases (Other than sender is gmail) you can easily get the IP address of the person. To get the IP address of the sender in the email header, search for X-originating-IP: and you will get the IP address of the sender. Now see the header of fake mail added above as snap by me, you will not find this field. It means it does not reveal the IP address of sender. Note: If a person is using dialup connection with dynamic IP, IP Tracing will only trace up to the IP address of the ISP. For getting exact location, you need to contact ISP which is impossible without the permission of cyber police. If a person has purchased a dedicated IP connection, you will get the exact location of it. Here the time zone is +0100. Treat it as +01:00. Although, there will be so many countries belongs to a timezone, but you may get an approx idea. In case you have problem in any step mentioned above, you can ask me via comment. 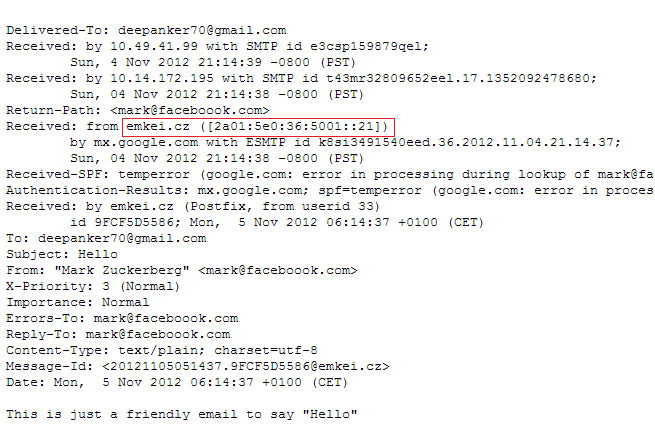 Can an email sent with Emkei.cz be traced? If so, how? Nice piece ! Speaking of which if people have been needing a Real Estate Purchase Contract , my colleagues found a fillable form here http://pdf.ac/3hOZ9O.